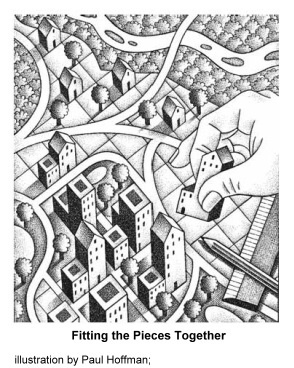 Our Spring 2011 issue features an article by long-time Florida planner Wendy Grey on a topic that virtually every planner and planning commissioner will face -- the relationship of the local comprehensive plan and implementing regulations, such as zoning ordinances. I asked Grey some questions to further explore what she covers in her article. Wayne Senville: In your article in our Spring issue ("The Comprehensive Plan and Land Development Regulations: Putting Words Into Action") you focus on ways of making the comprehensive plan and local land development regulations work better together. But in some communities, plans seem of distinctly secondary importance to land use regulations, since it's the regulations that have direct consequences for developers, businesses, and residents. This can be frustrating to members of local planning commissions, especially if they've invested a lot of time on working on the comp plan. Are there suggestions you have for how comp plans can become more valuable in actually shaping land use policy and not just sit there on the proverbial shelf? Wendy Grey: Since the land development regulations are intended to implement the plan, it is probably not practical, or helpful, to have every land use decision tied directly back to the comprehensive plan. But there are instances when relying on the plan can benefit the decision making process and remind folks why the plan is there. 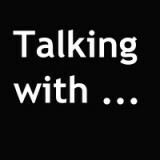 Take rezonings as an example. Often, rezoning decisions revolve around whether the adjoining property owners object to the request. From a long range planning perspective, rezonings tie back directly to the future land use map, which depicts the desired relationships of land uses to each other. In reviewing rezoning requests, a significant part of the planning commission’s analysis should be based on whether the rezoning is consistent with the comprehensive plan, not just whether or not there are objections from neighbors. Another way to keep the plan relevant is to spend some time reviewing it. Consider having an agenda item every few months that reviews some key objectives of the plan and how they are (or are not) being achieved. Based on these discussions, the planning commission may wish to recommend changes either to the plan or the regulations. How Much Flexibility Should Comprehensive Plans Have? Wayne Senville: In many places, comprehensive plans seem replete with words like “may,” or “to the extent possible,” or “should consider,” instead of outlining what “shall” be done. In your article you discuss the difference between prescriptive plans (where language in the plan can almost be copied and pasted into land use regulations) and plans that build in more flexibility. How do planners and planning commissioners determine which approach would work best in their community’s comp plan? Wendy Grey: The plan may have both types of policies, depending on the result you want to achieve. In the article, I use the example of comprehensive plan policies intended to promote downtown redevelopment. The plan could contain policies that specify exactly how tall buildings should be, the size of ground floor windows, and sidewalks widths. But that regulatory approach won’t necessarily encourage redevelopment and may actually impede reinvestment. In this example, the intent of the policy, as a guide to developing regulations, is more relevant than the specific standard. So, the plan directs the City to develop codes that address design features to create a safe and welcoming environment, but does not specify the precise standards. On the other hand, prescriptive language is appropriate when the community value is very explicit. I recently reviewed major changes to the comprehensive plan in a coastal county in Florida. Many of the proposed changes moved the more regulatory language to the land development code. When it came to building heights along the coast, however, it was quickly decided that the four story height limit in the plan would not be removed. The control of building heights along the coast was such a strong community value that it was retained in as a requirement in the comprehensive plan, and, subsequently, the land development code. Wayne Senville: It has often seemed to me that local zoning regulations face issues not addressed in the comprehensive plan, or not addressed very clearly, especially once the plan is five or ten years old. Zoning regulations then seem to be based more on ad hoc considerations or policy preferences of the governing body. What you almost end up with is the regulations leading the plan. Are there any ways of dealing with this? 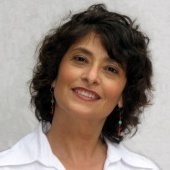 Wendy Grey: Zoning codes are often amended for practical reasons -- a situation has arisen that is not addressed in the code, so the code gets “fixed.” This same process does not happen with the comprehensive plan, especially if the plan does not have strong standing (i.e., the Plan is primarily “advisory”). One way to address this situation is to explicitly address whether amendments to the zoning code are consistent with, or further the intent, of the plan. For example, adding certain uses to a zoning district may be entirely consistent with plan -- maybe it was just a case of nobody thinking of that particular uses when the code was written. But amending the text of the zoning district to allow drive thru uses where they were previously prohibited, or allowing large scale commercial in a neighborhood oriented commercial district, will fundamentally change the nature of development over time. As a planning commissioner, it is appropriate for you to assess whether proposed changes are consistent with the long range vision for the community. Your question also raises the need to comprehensively evaluate and update the plan on a regular schedule -- generally about every seven to ten years, depending on the rate of change in your community. Wayne Senville: In your article, you mention the value of having a "feedback loop" by which communities can monitor how well their Comp Plans are actually performing. Can you give an example of how this might work? Second, evaluate approved projects. What gets built is a direct result of the rules in place. 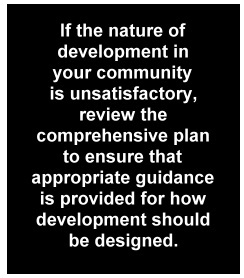 If the nature of development in your community is unsatisfactory, review the comprehensive plan to ensure that appropriate guidance is provided for how development should be designed -- and then propose changes to the land development code to implement that guidance. Third, look at your development review process. For example, if both applicants and staff have expressed frustration with getting projects through the review process, it could be because there are conflicts in the development code or because the standards in the code are too vague. If these are the reasons, go back to the plan to see if it provides guidance for correcting the problem. If not, consider recommending that the plan be amended to provide better direction for the code standards. Wayne Senville: In your article, you also highlight the importance of "going beyond the planning department" when the comprehensive plan is being developed, by closely involving other city departments. Can you briefly explain the benefits of this broader approach to putting together the plan? Wendy Grey: Planners have strong skills in analyzing trends and projecting possible future outcomes. They are also skilled at looking at the relationships between different components of a community -- land use, the environment, and infrastructure. But planners do not always have the knowledge or authority to get plans implemented. So a major benefit of this approach is to ensure that planning concepts become reality. For example, planners understand that pedestrian friendly streets will help promote walking and transit, but that type of street may not be built unless the public works department’s design standards are officially amended. Bringing the public works staff into the policy discussion of the need for pedestrian friendly streets can help smooth the way for implementation. 3. Where Do We Want to Go? 5. How Do We Get There? 6. Are We There Yet?